Upgrade to a smart thermostat for the coziest of savings. Regulate the temperature of your home from your smart device, get usage information and take advantage of energy savings when you upgrade to a smart thermostat. Can adjust temperature automatically throughout the day, saving money. Easy-to-operate digital interface. Set daily, weekly and weekend temperature programs for a simple approach to energy savings. 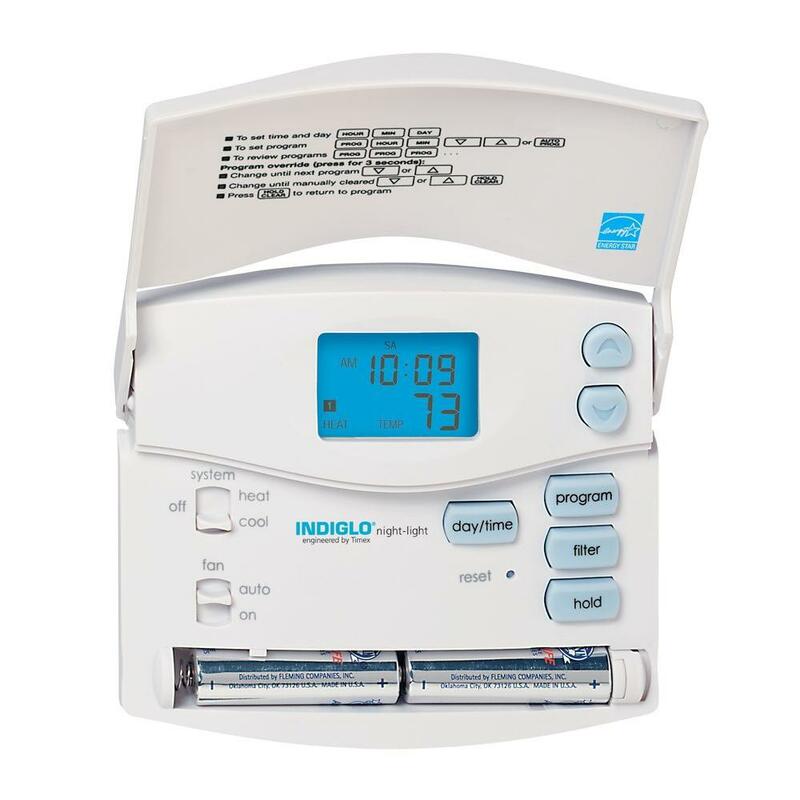 Economical with simple controls that require more daily attention for energy savings. 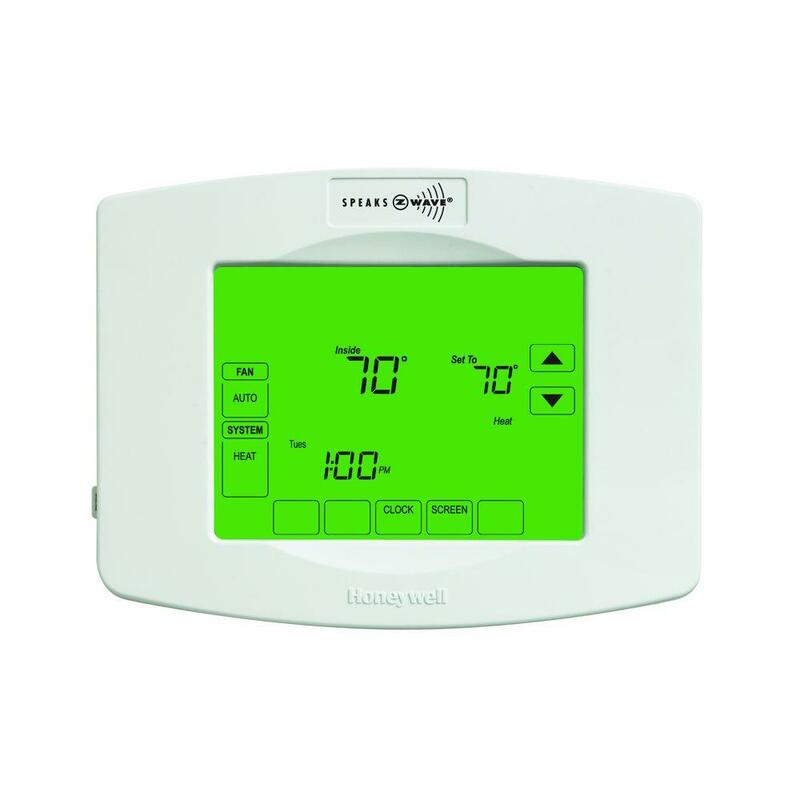 Whether you’re looking to save money during the summer and winter or have an easier-to-use thermostat that fits with your family’s lifestyle, The Home Depot has a wide selection of thermostats for you to choose from. If you’re not sure what kind of thermostat you’d like to have for your home, check out our thermostat buying guide: Choosing the Right Thermostat. Smart thermostats are a clear front runner since they can be controlled and programmed from your smartphone, tablet or computer. Many are often able to be integrated with your home’s existing smart hub and give a more precise temperature, saving on your home’s heating and cooling bills. Wi-Fi thermostats (also known as wireless thermostats) are similar to smart thermostats in that they can easily be controlled from a smartphone, tablet or computer. They are also very precise with temperature for energy savings, but the main difference is that they often do not connect to a smart hub or other smart devices. Tip: All smart thermostats are Wi-Fi enabled, but not all Wi-Fi thermostats are smart. 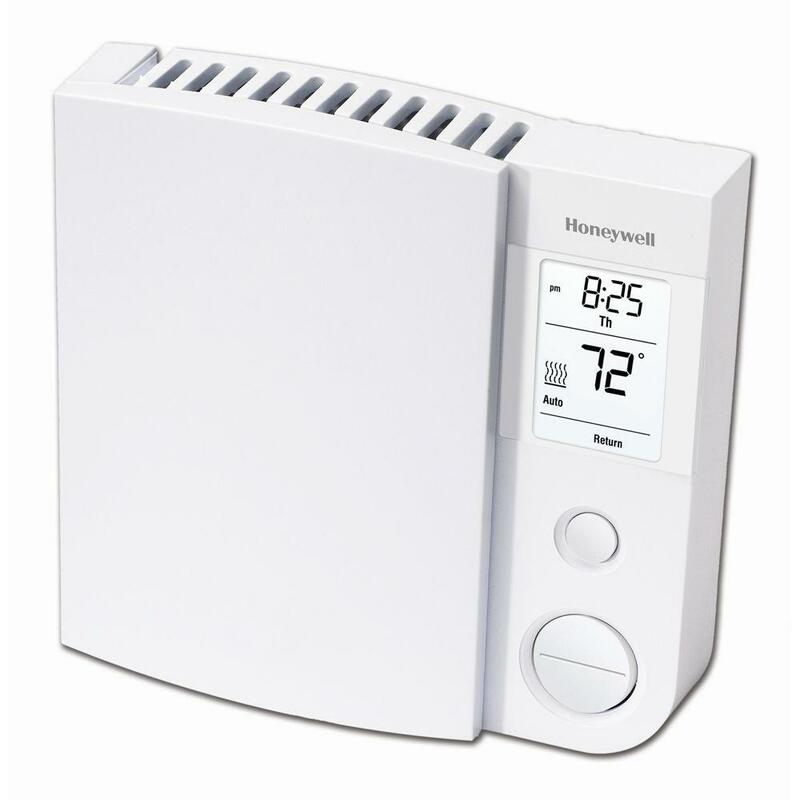 Programmable thermostats provide much more precise temperature setting than old manual thermostats. They are often not Wi-Fi enabled, but are programmable from the unit and can remember time and day settings, usually for up to seven different days. What model of thermostat you get can also depend on the type of HVAC equipment you have in your home. 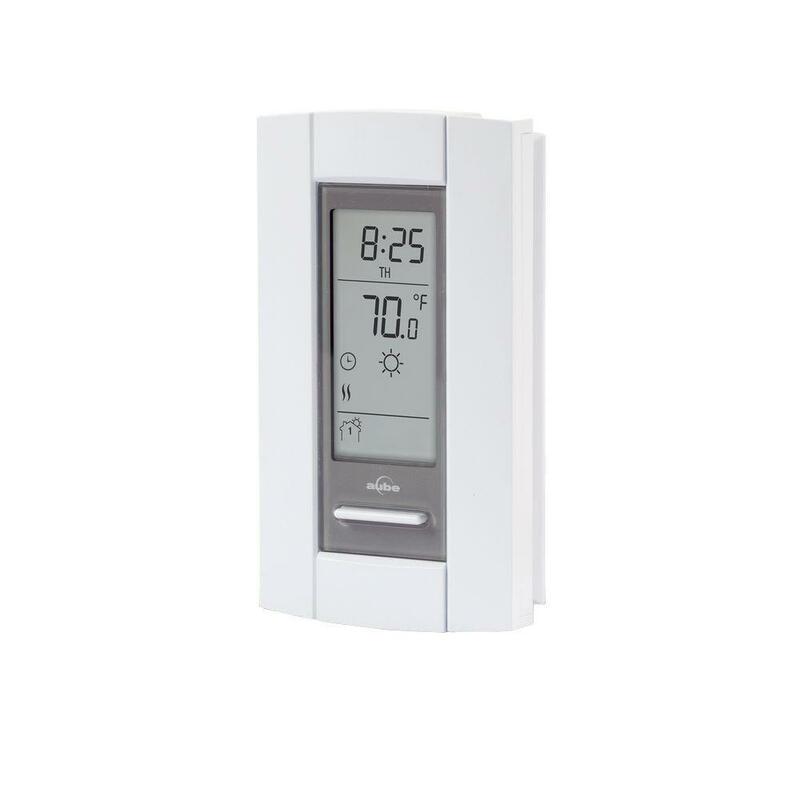 Most new thermostat units are compatible with heat pump thermostats, baseboard heater thermostats, furnace thermostats and boiler thermostats. You’ll need to identify if your home is fitted with 1 Stage, 2 Stage, Direct Line Voltage, 24mV, or Zone heating and cooling to determine which thermostat will be compatible. Your new thermostat will be labeled to show compatibility. If you’re interested in installing your own thermostat, be sure and check out our guide on How to Install & Replace a Thermostat. For troubleshooting, we have a helpful guide on Thermostat Troubleshooting that may help you figure out your issue.